Lilies wedding crowns in romantic style. Totally handmade with porcelain pink and white lilies, green leaves, dried baby's breath flowers and pearls. 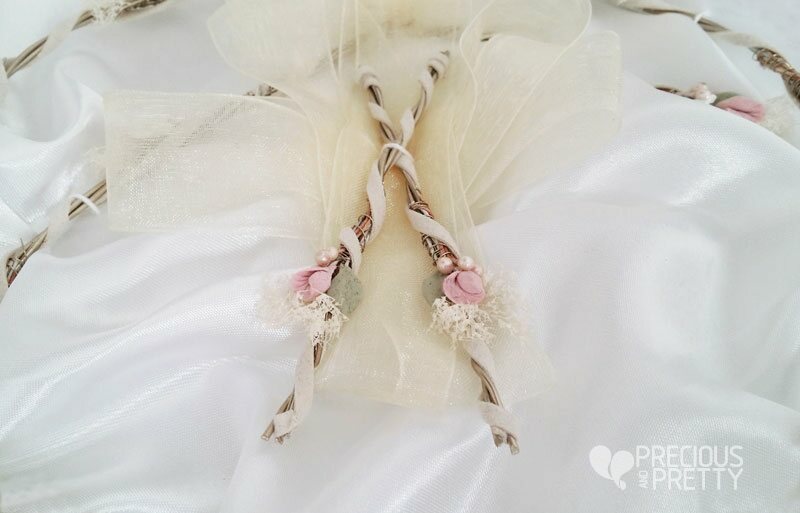 They are decorated with white suede cord and tied together with an organza ribbon. 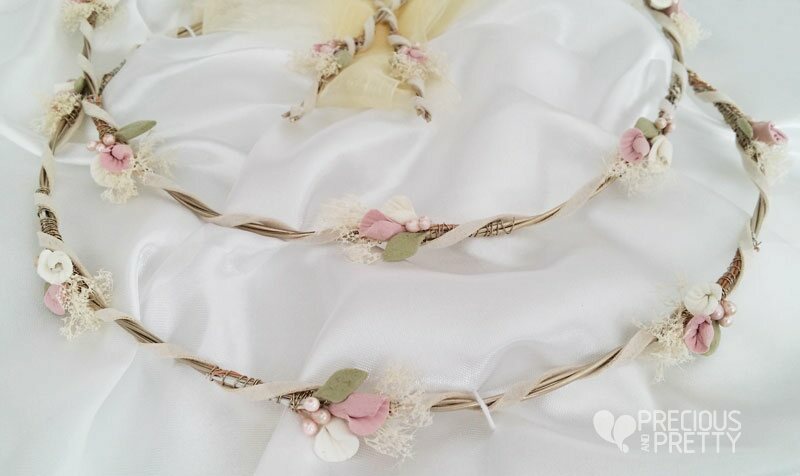 https://www.preciousandpretty.com/2018/12/wedding-crowns-with-lilies-1063.html Greek Wedding Favors|Orthodox Crowns|Stefana|Baptism Invitations Wedding crowns with lilies 1063 Wedding crowns with lilies in white and pink color Product #: Greek Wedding Favors|Orthodox Crowns|Stefana|Baptism Invitations_8023446671433764360 5 stars out of 5 reviews.